TravStar1 Point Of Sale SystemRegister Manual End Of Day ProcessHow Do I Reprint a Z Report on the Register? How Do I Reprint a Z Report on the Register? Type the number 7 using the number pad on the keyboard. Touch the "X Report" button. the reset number using the number pad on the keyboard. 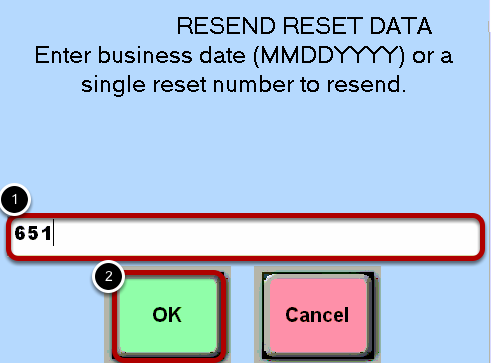 (2) Once you have entered either the date or the reset number, touch the "OK" button. Notice that the reset number appears near the top of the original Z report. Prev: How Do I Reprint a Credit Card Batch? Next: How Do I Perform an Audit to Check My Sales without Closing the Shift?